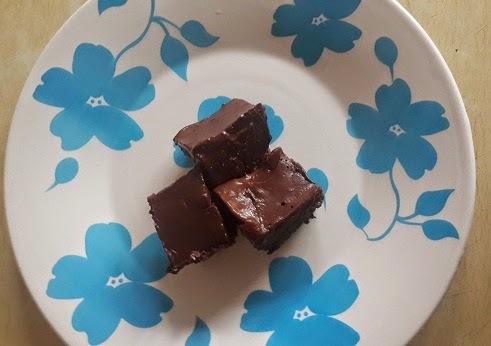 Friday goodness; home made chocolate cubes. 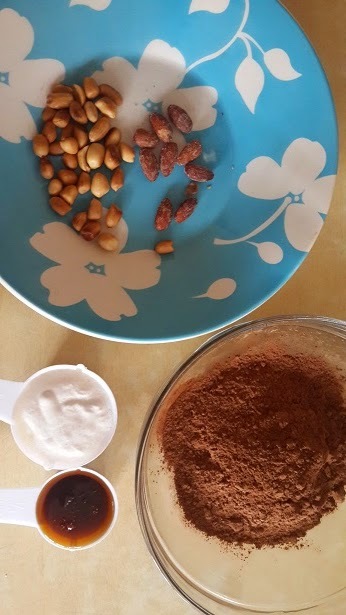 Nuts, coconut cream and oil, honey, cocoa powder. 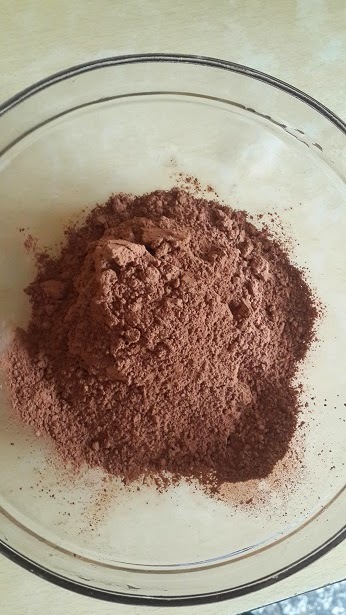 4 heaped tablespoons of pure cocoa powder. 1 freezer ice try or small plastic containers. The mixed cocoa and creams. Kinna bitter though. 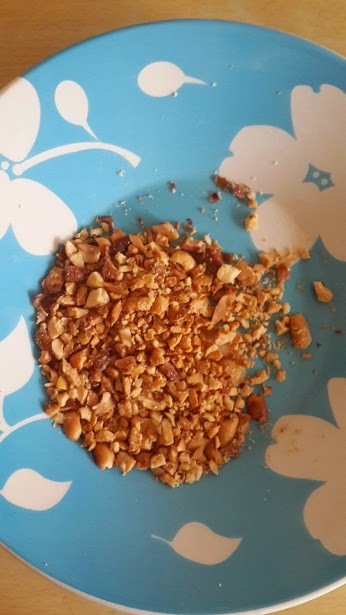 With the crushed nuts. This mixture tastes divine!! 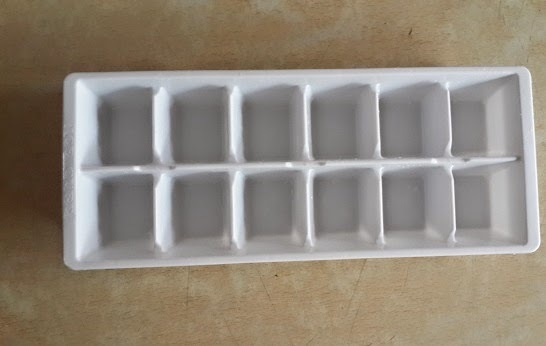 The freezer ice tray i used. The finished product. The small wrap is the left over. Here's the finished product. Not too hard though but tasty!! Crush the peanuts and almonds with a glass bottle and set aside. In a clean dry bowl, add half of the cocoa powder, the honey and the coconut oil. 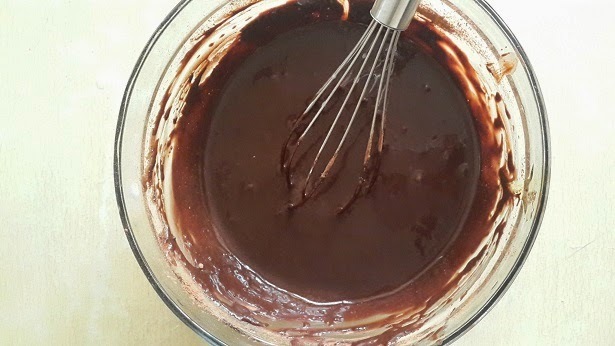 Mix well, and add the coconut cream if you are using, add the remaining cocoa powder and blend well till smooth. The consistency shouldn't be runny, it should form a ring when you swirl it round in the bowl. If its too runny, add more cocoa powder. 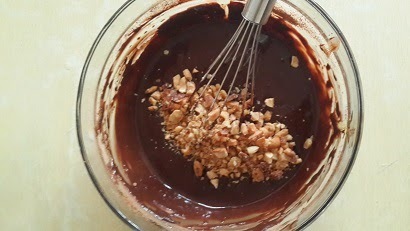 Add the nuts into the mixture and stir well. 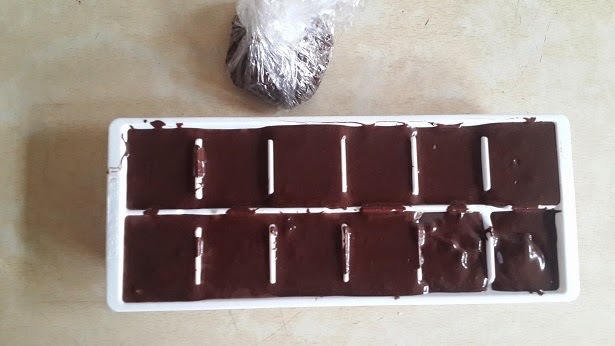 Share into the ice trays, use a cling film to cover it and store in the freezer till frozen. This could take up to 3 hrs to harden completely depending on your container size. To remove them from the mold, after freezing, you will need to dip a knife into hot water to pluck out the cubes. This cant be bad for me na, can it? 2 of this should be like 100 calories of pure natural goodness. So you'll be getting full nutrition from the pure cocoa, honey and coconut oil. The difference between this and store bought is over 100 calories. Extra 100 calories of empty calories. CAUTION!! : Pure cocoa has a bitter taste, it takes time to get used to it. Mix with something sweet. If you have any recipe that you would love me to try or share, please let me know, i would gladly do so. *More healthy recipes on my food blog...Subscribe with just N2000 and get a free detox meal plan. Thanks. Hi Cheliz, I followed you here from naija hair can grow. My 2 passions in life are my hair and my body, after all I live in my body so I have to keep it strong and my hair is an extension right? Anyway, I digress, I'll send you an email with my full gist. At this point I'm desperate to see some results and lose some weight. Can we be friends? None of mine seem to get where I'm coming from. They don't understand, I've got hair friends, I need you to be my weightloss friend. Is that okay? Hi Noelle, thanks so much for coming over. I feel you dear, great hair and body goes together. What we eat affects our hair and nails as much. Sure we can be friends, now waiting for your mail, so we can chat lol. Cheers!